We looked at the top 9 Portable Generators and dug through the reviews from 64 of the most popular review sites including Consumer Reports, Generator Power Source, Pro Tool Reviews, BestReviews, Portable Generator Grader, Generator Mag and more. The result is a ranking of the best Portable Generators. Our experts reviewed the top 9 Portable Generators and also dug through the reviews from 64 of the most popular review sites including Consumer Reports, Generator Power Source, Pro Tool Reviews, BestReviews, Portable Generator Grader, Generator Mag and more. The result is a ranking of the best of the best Portable Generators. If you plan to run your appliances and devices directly to your generator, the Briggs & Stratton is the No. 1 recommended pick. It comes with four 120-volt AC outlets and a USB port. It also has a 1.5-gallon tank that will run for up to 10 hours, which will come in handy in the event of an extended power outage. With 3,000 watts of power, it should easily handle all of your necessities. DWYM Outdoor and Garden Experts plus BestReviews, Pro Tool Reviews, Busted Wallet, Generator Grid, Generator Power Source and 1 more. Along with user reviews from Home Depot, Walmart and Amazon. "Automatic voltage regulation irons out fluctuations in power supply." "I noticed after the first time I used it that it had an oil leak." Not all generators can handle large appliances like refrigerators and stoves, but the Honda Portable Generator can. It brings 2,200 watts of power and two 120-volt outlets. It's also fairly lightweight, at only 47 pounds, so you can easily move it around. DWYM Outdoor and Garden Experts plus Consumer Reports, New York Times Wirecutter, Generator Mag, Generator Grid. Along with user reviews from Amazon and Walmart. "Delivered more than enough wattage to power our test appliances and handled surges very well. Provided especially clean power with consistently high voltage. Especially quiet from a distance of 23 feet. Easy to start and has some helpful features. Has..."
"The Honda EU2000i lacks a fuel gauge, making it hard to know how much fuel left in the tank. Oil checking and changes are not easy either due to lacking an oil extension tube for proper maintenance It’s..."
For those who live in cooler climates, the Champion Portable Generator has something called Cold Start technology, which will help it power up when the temperature turns cold. This generator has a fairly low wattage, so it's not ideal for powering large appliances. However, it will keep your electronics and smaller appliances going. At 23 feet away, you'll get sound decibels of only 65 dBA, so it's quieter than some generators. DWYM Outdoor and Garden Experts plus BestReviews, Morning Chores. Along with user reviews from Target, Walmart, Amazon and Home Depot. "Can be connected to another generator for extra power." "Not enough power for multiple large appliances"
Noise can be a common complaint with portable generators, but the Yamaha Portable Generator is fairly quiet at 51.5 to 61 dBA. It also has a 1.5-gallon tank that can run for up to 10 hours. If you want a generator to take on the go, this model is worth considering as it only weighs 44 pounds. DWYM Outdoor and Garden Experts plus BestReviews, Consumer Reports, Portable Generator Grader, Generator Mag, Generator Grid, Portable Generator Guide and 2 more. Along with user reviews from Amazon. "You can take it anywhere, and won't be bothered by excessive noise." "Lacks an hour meter, which tells you how long you've run the generator since your last oil change." We identified the majority of the portable generators available to purchase. 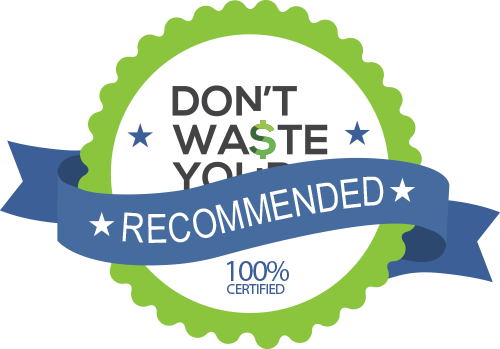 Reviews from our DWYM category experts and analysis of some of the most respected sources including: Consumer Reports, Generator Power Source, Pro Tool Reviews, BestReviews, Portable Generator Grader. We also incorporate user reviews from the leading retailers including Amazon, Home Depot, Walmart, Target. Automatic voltage regulation irons out fluctuations in power supply. The unit has a large one and a half gallon fuel tank that can run the generator for up to ten hours on half load. It will run all afternoon on the full load. Love the USB ports and fuel gauge. But what really impressed us about this generator was the fact that it is so easy to transport. 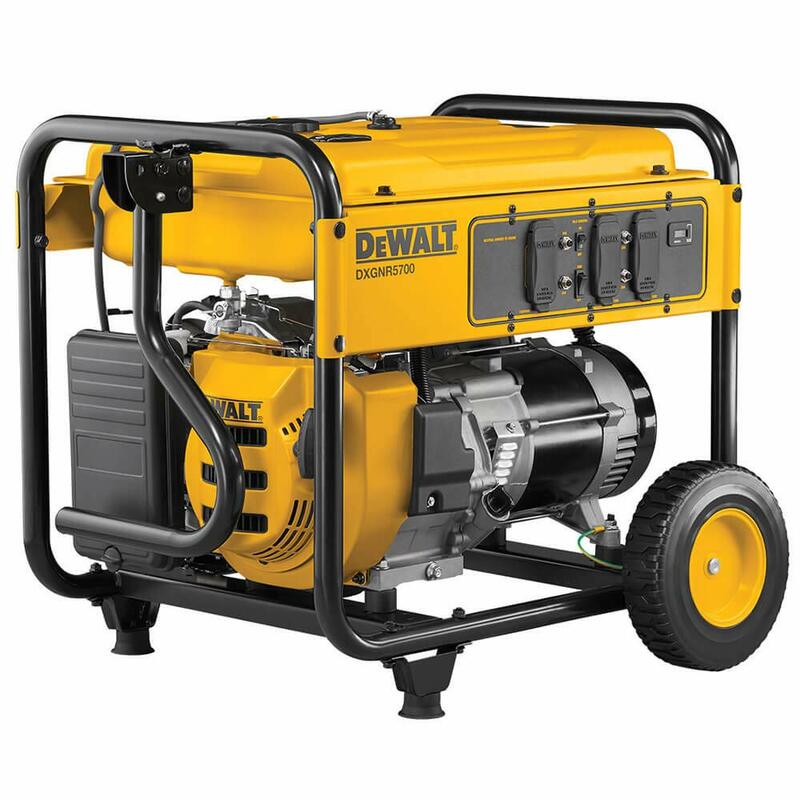 Featuring a 1.5 gallon tank, this generator is able to deliver power for 10 hours at ¼ load with a full tank. This makes it perfect for getting you through the night during a blackout or even powering through a full day event! This is a smaller generator that gives you up to 10 hours of continuous use if you are operating it at 1/4 load capacity. The generator is more expensive than average, and the price can seem expensive compared to the other Briggs and Stratton generators. I noticed after the first time I used it that it had an oil leak. The only thing that I could find was that some users were either having no start conditions or problems with Briggs & Stratton’s customer service. Can be connected to another generator for extra power. Cold start technology makes it ideal for cold climates. It’s never a good time for a power outage. Chances are the weather isn’t ideal, leaving you to either swelter or freeze in your house for hours or, worse, days. You can’t even use a fan or space heater to keep your family comfortable. As you watch the battery on your smartphone slowly die, you continue to monitor your local utility company’s online outage report, to no avail. A generator can keep you up and running, whether an outage lasts an hour or three weeks. Just fill up a gas can at your local station, bring it home and fill up the generator to get started. Depending on the type of generator you buy, filing up one gas can may be enough to last you multiple days, and refilling is easy. One decision you’ll need to make before you start shopping is whether you want an inverter or a conventional generator. Although inverter generators are more expensive, they’re generally quieter, more efficient and have a longer runtime than their conventional counterparts. If your home suffers only the occasional power outage, it might not be worth the extra price to have those benefits, but you’ll appreciate them if your power ever goes out for days at a time. How you’ll connect up your generator is also important. You can set up a small generator in a safe area of your house and individually connect the items you use directly to it. Your generator will need to be at least 10 feet from any openings to your house to keep you safe. At that point, you can run one long extension cord from the generator into your home, and then plug multiple items into that. You can alternately run several extension cords into your home for the different appliances you’ll need to use, depending on the power outlets available on your generator. The other way to use a generator is to hook it up to the transfer switch for your house. This is the safest method since the cord method requires ensuring you have the correct gauge and length of wire. You’ll need a power transfer system, which will have everything necessary to connect a portable generator to a home. The benefit of these systems is that you won’t have to connect individual appliances. You can run the items you need as you normally would, although you’ll still want to conserve energy to avoid multiple trips to the gas station during your outage. The average power outage lasts only four hours, although natural disasters pushed that number to 7.8 hours in 2017. When natural outages were factored out, though, the average was back to four hours. This can vary by state. California consistently has the most power outages, and Texas and Vermont also topped the list in 2017. The worst power outage in history came in 1965, when more than 30 million people were left without electricity due to human error. One of the strangest power outages happened in 2017, when a truck carrying a load of chickens overturned near a power pole. If your power goes out, chances are you’ll be using your generator for only those things you absolutely need. Still, it’s important to check the capacity. The Honda EU2000i Portable Generator is built to run a wide range of appliances, including ovens and refrigerators. The Champion Power Equipment Portable Generator, on the other hand, isn’t suitable for large appliances like stoves and air conditioning units. You’ll also find it lacking when it comes to keeping multiple larger items going at once. For those who live in colder climates where conditions like ice storms tend to cause extended power outages, a unit like the Champion Power Equipment Portable Generator may be a better choice. The Champion builds in Cold Start technology to ensure you can still run it when the temperature drops. One common issue with generators is a fluctuation in power that can make it difficult to run appliances and electronics. The Briggs & Stratton Powersmart Series generator comes with automatic voltage regulation that keeps those fluctuations at bay. When it comes to capacity, wattage is everything. Look for generators with a higher wattage if you’re concerned about keeping your refrigerator going while also intermittently using devices like your stove, toaster and smartphone. The Briggs & Stratton Powersmart Series is a 3,000-watt generator, giving it a leg up over the 2,200-watt Honda EU2000i Portable Generator, the 1,600-watt Yamaha Portable Generator and the 1,200-watt Champion Power Equipment Portable Generator. If you plan to connect your generator directly to appliances rather than hooking it up to your home’s transfer switch, pay close attention to the electrical outlets included. The Briggs & Stratton Powersmart Series has four 120-volt AC outlets and one USB port. The Honda EU2000i Portable Generator and Yamaha Portable Generator have only two 120-volt outlets. The Champion Power Equipment Portable Generator has only one. If you choose the latter, you’ll need to run one extension cord into your house and rely on a power strip to use multiple appliances. If you’ve ever heard a generator, you know they can be distractingly noisy. Generators are getting better about this, though. The Honda EU2000i Portable Generator is the quietest, at 48 to 57 dBA, which isn’t as noisy as a typical conversation. The Yamaha Portable Generator is only slightly louder at 51.5 to 61 dBA, and the Champion Power Portable Generator drops to 65 dBA once you’re 23 feet away. If you’re looking for an affordable generator, the Champion Power Equipment Portable Generator retails in the $200-$300 range, which is significantly cheaper than the Briggs & Stratton, Honda and Yamaha generators, all retailing closer to $1,000. In the event of an outage that lasts days, fuel capacity will be more important than any other factor. The Briggs & Stratton Powersmart Series and Yamaha Portable Generator have 1.5-gallon tanks that can each run for up to 10 hours as long as you aren’t maxing out capacity. Before you buy, consider whether portability is an issue. If you plan to leave it in one place most of the time, you probably won’t prioritize that feature. The Yamaha Portable Generator is the most lightweight, at only 44 pounds, followed closely by the Honda EU2000i Portable Generator, at only 47 pounds. The Champion Power Portable Generator is a whopping 170.6 pounds, so it’s far better for stationary use. For the Portable Generator category, we analyzed 64 of the most popular reviews including reviews from Consumer Reports, Generator Power Source, Pro Tool Reviews, BestReviews, Portable Generator Grader, Generator Mag and more. The result is a ranking of the best Portable Generators.